Parts shown are out of date. We have made many design improvements since this photo was taken. 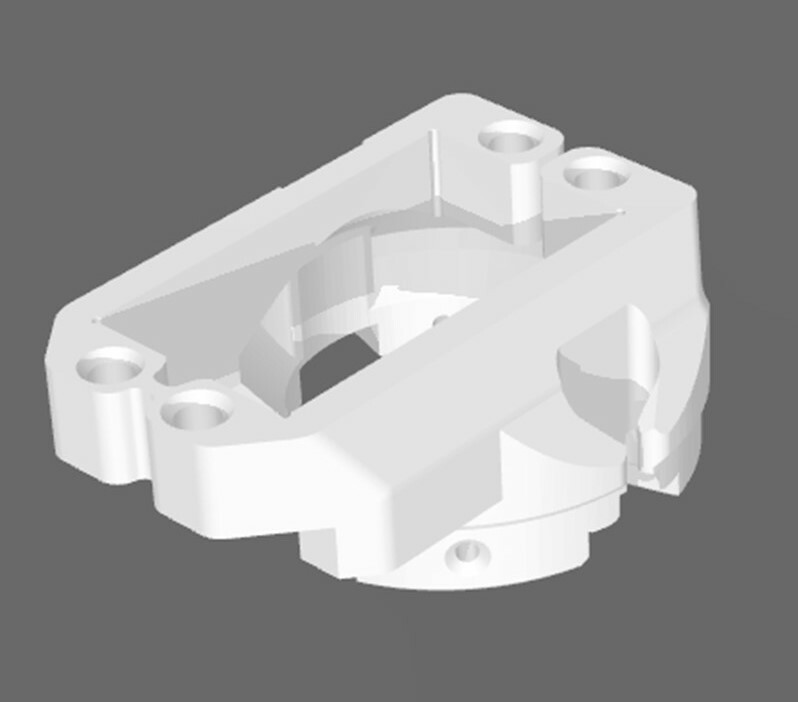 You can download the .stl files for the latest 3D Printed Parts. We recommend printing SeaGlide parts using ABS. The 3D-printed parts in SeaGlide are functional parts that experience significant stresses. ABS is a durable engineering polymer and has been tested in hundreds of gliders. We have successfully printed these parts using PLA and HIPS, but these materials are not as durable or heat resistant as ABS and have not been thoroughly tested. We recommend a wall thickness of three or more perimeters (or a wall thickness of 2mm+) and an infill of >30%. All the parts are designed to be printed without support material. In order to increase inter-layer-welding, we recommend printing at a temperature significantly higher than the default for ABS. 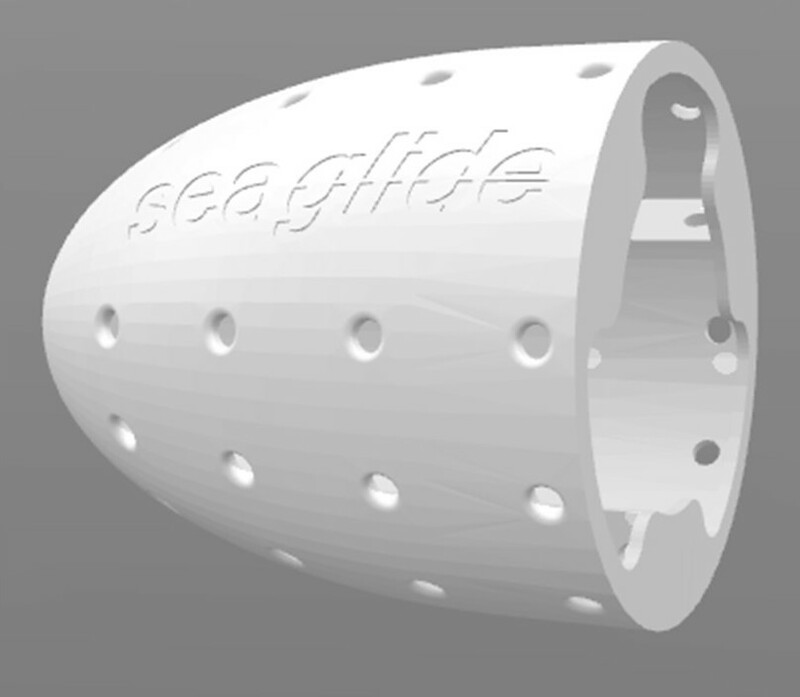 We recommend printing SeaGlide parts at 240°C+. In fact, we often print at ~245°C, but this number will vary depending on your particular ABS material, whether your material has absorbed water, your printer, and your print speed. The methodology we recommend is to run a series of small test prints starting at 240°C and increasing 1°C each print until you start seeing bubbles appearing in your print. Then decrease the temperature by 2 or 3°C and start printing your SeaGlide parts. WARNING: ABS (Acrylonitrile butadiene styrene) fumes contain toxic gasses. If bubbles are forming in the extruded plastic, then stop the print and reduce your extruder temperature. Not only will these bubbles weaken your parts, but the fumes that are outgassing could be harmful to your health. Click on the image below to download the corresponding .stl file. Or Click Here to download all of the core glider parts at once.